If you have been reading for awhile then you already know that I love popsicle stick crafts. I was beginning to wonder if I had another one in me since I have done so many but I realized I had never done a Easter one. So of course I had to come up with something and this little popsicle stick Easter chick was born. 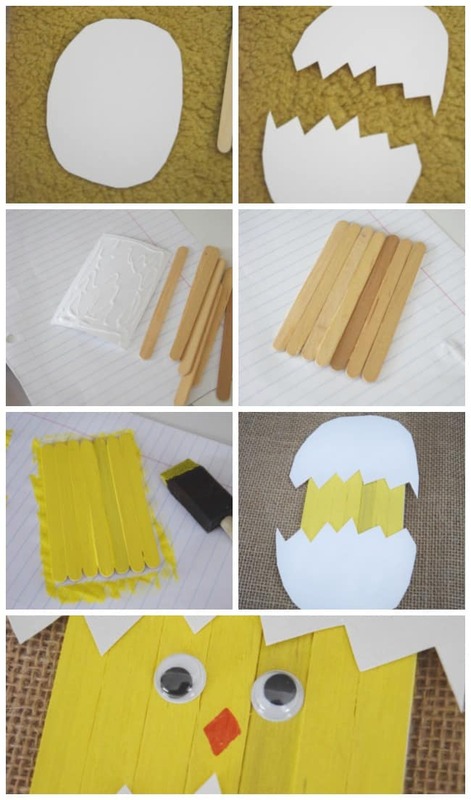 How to make a Popsicle stick Easter chick! 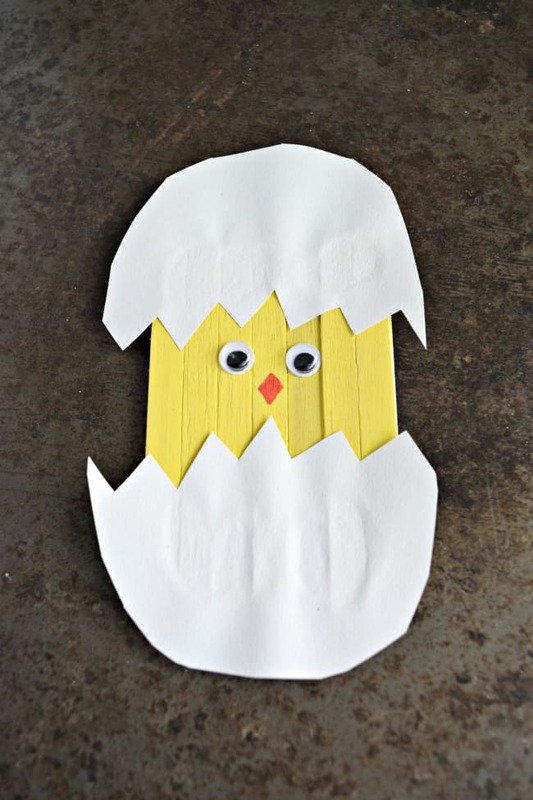 Start off by cutting out a egg shape from the white construction paper. Then cut in half using a jagged cut to mimic a broken egg. Glue on the craft sticks to your card stock or cardboard. Allow to dry! Using the yellow craft paint, paint the craft sticks. Allow to dry! Once the paint is dry you are now ready to glue on your egg pieces. Attach the wiggly eyes and draw on a small orange beak. Finally, if you want to turn him into a magnet I recommend a .75 inch adhesive magnet to hold it up. You are all done! I hope you enjoyed this little craft and will share it with your kiddos. 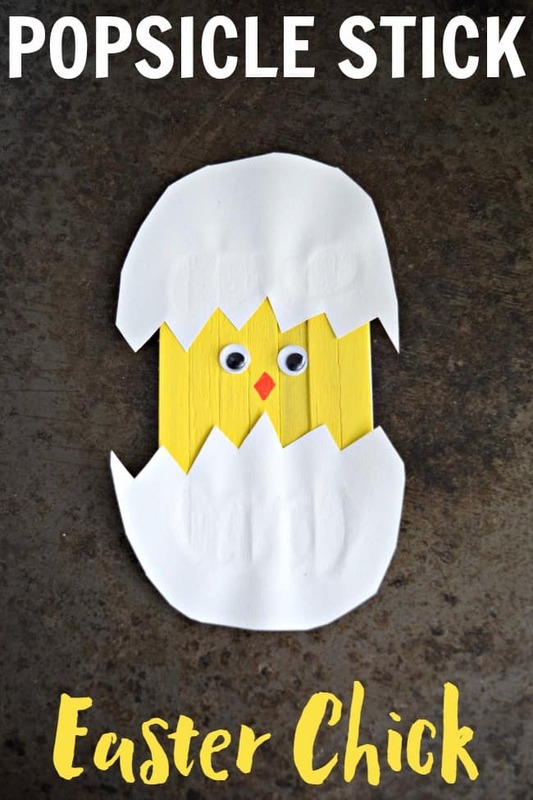 A great way to do a little crafting this Easter. Pizza night, It’s a family thing!